The annual lecture series, currently in its 10th year, brings together thought leaders in community design and planning. This year’s theme, Connecting Spaces / Connecting Places, focuses on successful corridor development projects. In “Re-Greening the Living City,” Lee Quill will use Cunningham | Quill’s Strategic Investment Area (SIA) Plan, for the City of Charlottesville, VA, as a case study for how an ecological corridor can act as a foundation for urban revitalization and as a physical framework for re-connecting neighborhoods. 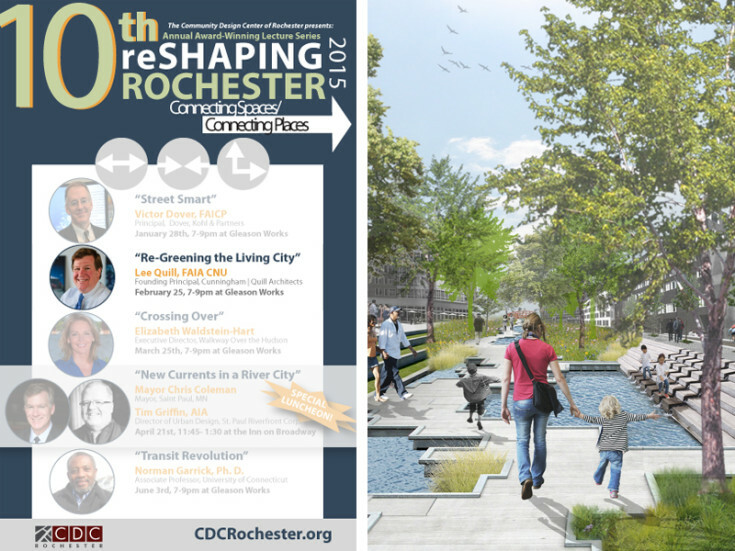 The SIA Plan will also be on display in an exhibit at the Community Design Center in Rochester through June 2015.